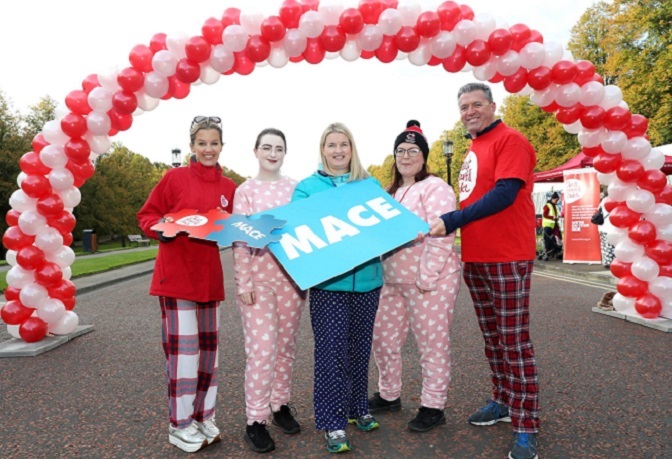 Dozens of pyjama-clad fundraisers took to Stormont Estate on Saturday morning to raise funds for the work of Northern Ireland Chest Heart & Stroke. MACE proudly supported the Wake Up! Pyjama Walk and provided a brunch to greet those who finished the 5 km walk around the grounds. There was also an “inspirational mile” for those with limited ability and entertainment from U105’s Johnny Hero.